A great alternative to traditional gas burners and hobs. It is portable so you can choose to cook anywhere you like as long as there is a plug socket around. This Double Hot Plate gives your kitchen the added flexibility of an extra burner. The hotplate cuts down the tie you spend in your kitchen. The fastest way to cook your favourite dishes. 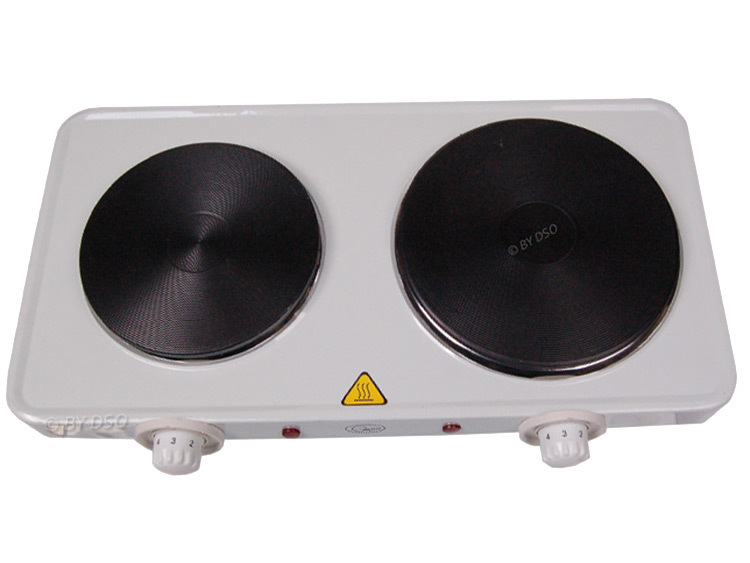 This hotplate features a solid die-cast heating plate, so better and even cooking is guaranteed. Another feature of this hot plate is it's compact design allows it to be stored away in a drawer or cupboard and is also stylish enough to leave out for everyday use.